JUBA, South Sudan (AP) — Pushing filthy hands between the bars of his cell, Maluel Chol held up a small black plastic bag. “This is where I go to the toilet,” he said. The 28-year-old has been detained for six months in South Sudan’s capital, accused of murder but not yet officially charged and with no access to a lawyer. 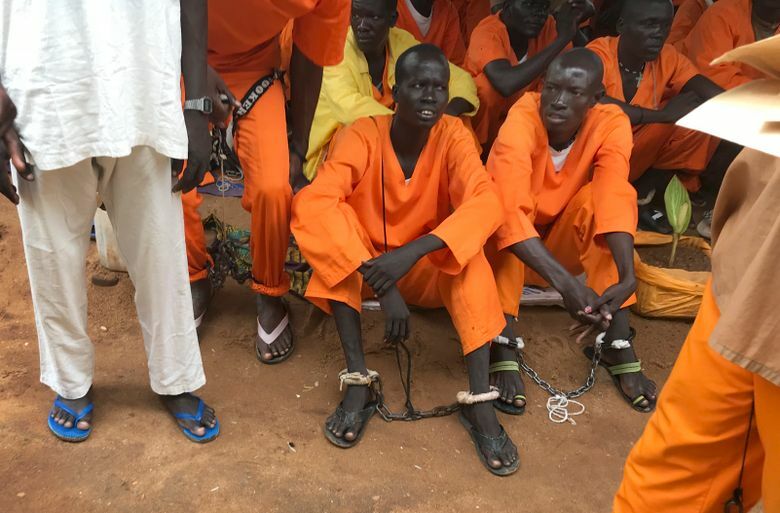 “It is extremely unconscionable that South Sudanese authorities arrest, torture and ill-treat people in total disregard for their human rights,” said Seif Magango, Amnesty’s deputy director for East Africa. He called on South Sudan’s government to release political detainees or charge them. Hundreds of people have been subject to prolonged and arbitrary detention without charge by the country’s National Security Service and Military Intelligence Directorate, said the report, based on interviews with victims and witnesses. Suspected supporters of the armed opposition are increasingly targeted, it said. South Sudan’s government called the new Amnesty report “rubbish” and based on inaccurate information from social media. “We don’t have a culture of torturing people. We put you in prison to put you behind bars, not to beat you,” government spokesman Ateny Wek Ateny told The Associated Press. Despite that act of good faith, South Sudan’s political environment has become increasingly intolerant and any criticism of the government can lead to intimidation and detention, the new report says. In July, academic and activist Peter Biar Ajak was arrested at Juba’s international airport and accused of treason. He has been detained without charge since then without access to legal counsel or any communication with the outside world, a human rights lawyer involved with his case, Phillips Anyang Ngong, told AP. “It’s a situation that gives us fear for how the shrines of justice and the institutions concerned will be able to save us from this continued arbitrary arrest of people without charges,” Ngong said. According to South Sudan’s Criminal Procedure Act, no one should be detained for longer than 24 hours while cases are investigated. The government has signed a U.N. convention against torture. Even some prison officials acknowledge the system isn’t working.